Whether you find it inscribed on t-shirt tags or boldly embossed on signage, "Made In U.S.A." imbues a certain sense of love for country. Second surface printing can take your visual messages to the next level. If you're considering an in-store makeover, you may want to include your signage as one of the elements that could use a good pick-me-up. Here are a few reasons why the Inca Onset X is the gold standard of flatbed wide format digital printers. By NGS-admin|2019-03-04T16:04:15-05:00March 4th, 2019|General|Comments Off on Political signs: Do they work? Does political campaign signage help candidates win elections? If expertise is what you're after, you'll be hard pressed to find a developer with more notches on their tool belt than us. Nearly 30 percent of the energy NGS Printing uses in production comes from solar. The printing business has a lot of turnover, but that's not the case at NGS Printing, which should come as good news to customers. So you know what design, color scheme and words will fill out your point of purchase display. All you have left to decide is the material to use. Just in time for the holiday season, FAO Schwarz is back in the Big Apple. By getting a better understanding of how the brain works, effective multitasking is possible. While there's no denying that more stores are launching websites to give customers more purchase vehicles, a recent study suggests that brick-and-mortar locations are key to sales success. Starting in January, Canton, Massachusetts-based Dunkin' Donuts will shed its "Donuts" moniker and become known simply as "Dunkin'," the company announced recently. A household name grocery chain for New Englanders is going through a bit of a transformation - starting with its interior signage. Holiday sales signs and marketing efforts likely won't be in vain, as purchase activity is poised to rise during the all-important season for retailers. Word of mouth is one of the more effective ways to spread the message, but signage is every bit as important - perhaps more so. Poor labeling and signage practices is making it harder than it needs to be, according to the results of a recent survey. Here are a few ways that signage can alert and educate employees and consumers. NGS Printing is happy to report that we have placed in the top ten of the 2018 Top Shop Awards for Wide-Format & Signage. NGS Printing's purchase of an Onset X printer represents a significant upgrade for the company's hardware. Which signage best for securing consumer attention? By NGS-admin|2018-07-25T13:14:00-05:00July 25th, 2018|Fulfillment|Comments Off on Which signage best for securing consumer attention? Effective signage can help companies communicate, regardless of who their target audience is. Several factors help increase the speed of digital printing over offset. Being successful can hinge on your ability to deploy indoor signage that will have positive effects on the consumer experience. Magnetic graphics are a switchable signage that, due to their dynamic nature, have an increased ability to hold attention. What are the benefits of window signage? By NGS-admin|2018-05-08T09:08:18-05:00May 8th, 2018|Digital Printing|Comments Off on What are the benefits of window signage? Every enterprise with open glass surface area can benefit from window graphics. When should brands opt for translite branding? By NGS-admin|2018-05-15T10:13:20-05:00April 23rd, 2018|Digital Printing|Comments Off on When should brands opt for translite branding? When brands are looking to advertise their image through translites, some locations are better than others. Decals are effective and versatile tools in promoting brand awareness and increasing consumer loyalty. Modern retail stores do not prioritize convenience; instead, they opt for a shopping experience. Coroplast signage will be important in 2018 due to a variety of compelling factors. Effective shelf signage like aisle violators and channel strips can increase the likelihood of a sale occurring. Magnetic graphics are startlingly efficient and effective for their customization and interaction. Companies may be surprised to learn that they can reduce their carbon footprint by choosing a less harmful kind of ink. In 2018, companies across industries will be rushing to properly utilize the ultra violet trend. Retail space owners should keep some things in mind: time is precious, appeal to emotion, and choose your colors wisely. Endcaps are the most visual display in your store. NGS was one the first printers to receive G7 Qualification for both screen and digital printing services. NGS Printing is proud to announce our second Zund D3 L-3200 digital cutting system. Most of our customers, both new and long-standing, are choosing digital printing. We recently attended the SGIA Expo in New Orleans. Now, we're sharing our tips for making the most of an industry trade show. Concrete and sidewalk graphics are a great, unconventional way to increase brand awareness and promote an event or product. Your display graphic isn't complete once it comes off the printer. People spend over four hours a day checking work emails. Revamp your design and printing process to be more eco-friendly with these four tips. Use these four tips to help your designers create better, more appealing graphics. The right substrate for your printed graphic depends on numerous factors. Going green is a smart business strategy, and NGS Printing is committed to reducing the impact that our internal operations have on the environment. Through sustainable practices, recycling and source-reduction initiatives, NGS is determined to make the Earth a better place for generations to come. In addition, NGS will seek to provide our customers with solutions designed to help them produce products that are inherently more sustainable. Printed signs and displays are still relevant, even with the prevalence of online marketing. What is a picoliter, and why should I care? By NGS-admin|2017-06-07T12:46:41-05:00June 7th, 2017|Digital Printing|Comments Off on What is a picoliter, and why should I care? Choosing a digital printing supplier depends on many factors. Pantone's 2017 color of the year is Greenery. Are you making one of these three store design mistakes? Online marketing is important, but POP displays still have their place. Composition describes the way color, text and images relate to each other within your graphic. Floors, windows and counter tops are great spaces for increasing brand recognition and encouraging last-minute sales. The Pantone Matching System keeps your brand's colors consistent. Plastic substrates are far more durable than paper ones, with many suitable for indoor and outdoor graphics. They also can provide structure to displays that many times paper cannot. Come see NGS Printing at booth 3045 during GlobalShop 2017! Avoiding clashing colors is essential for creating an eye-catching graphic. Mix your digital and print marketing campaigns for maximum engagement. Here are two ways to combine your print and digital marketing campaigns. RGB, CMYK and PMS are three of the most important acronyms in design. Three acronyms - RGB, CMYK and PMS - are essential for understanding how to create high-quality graphics. Color is one of the main factors determining how customers view your brand. NGS Printing was the first in our market to acquire the Zund D3 digital cutter. 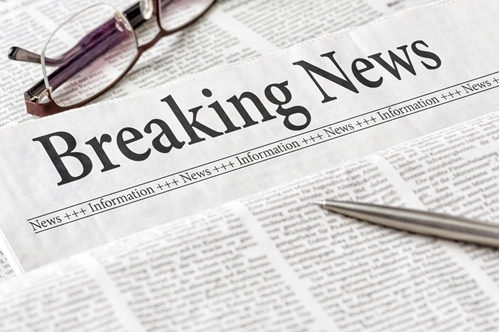 Referencing current events increases your brand's relevance. Grab these four design books for inspiration over the coming year. Automation is changing the printing industry. Here's how that benefits your business. These four design books are must-reads for 2017. These five questions will help you choose the right printing partner from the start. Make your graphics relatable when creating displays that reference current events. Knowing terms like prepress, file format and process color helps you select the right printing partner. These tips help you make sure the colors and edges of your printed graphic look the way you want them to. Choosing a printing partner for your POP graphics, yard signage or other product isn't a decision to take lightly. Use these tips to ensure quality color when it comes to your graphics. As you start planning for 2017, consider what design styles will influence your graphics. There's a lot of vocabulary to learn when it comes to printing. In 2017, fashion and web design trends will become popular in the world of print design. Your graphics and displays are reflections of your brand. You need a printing partner that offers comprehensive services that meet your unique needs. Choosing the right printing service is an important decision for your brand. The quality of your signage is a direct reflection of your brand. Seek a partner, not a vendor, when looking for a printing company. The First Fujifilm Acuity F Printer is at NGS Printing!